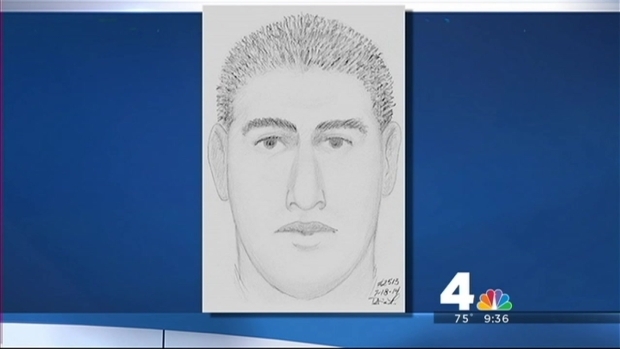 Fairfax County Police are looking for a man who attacked a jogger on a neighborhood trail Thursday night. The attack took place on a popular path through the woods that runs from the Greenbriar neighborhood to the Fair Lakes area. The woman began her jog around 7 p.m. and only went about 100 yards down the path when a man on a bike tried to assault her. Police said the woman managed to escape without being injured, and called for help. "We did respond with several units including the helicopter and bloodhound to try to see if we could find this individual and unfortunately we were not successful," Fairfax County Police spokesman Bud Walker said. Greenbriar residents, like Mary Ellen North noticed the commotion -- an officer parked in front of her home during the investigation, right across the street from the path. "I was shocked because in this neighborhood we're family oriented, we're all pretty close and it's quiet," North, who has lived in the area for two decades, said. Neighbors agreed the area rarely sees crime. Northern Virginia bureau chief Julie Carey reports on a woman who was attacked on a trail through her neighborhood. "It's very surprising," Phillip Heck said. "I've lived here for about 10 years and never heard stories of any type of crime or assault here." Police said until they can learn more about the incident, residents should be cautious on the path. "If we could ascertain the motivation behind the attack, then we would have a better sense of the danger level to general public, but given that we don't know as much as we would like, we that the feel public needs to be on guard," Walker said.